George Crumb: Voice of the Whale – Soul Music of A Different Sort | "DESTROY ALL FANBOYS!" In 1976, “music filmmaker” Robert Mugge created his first music-related film. Titled GEORGE CRUMB: VOICE OF THE WHALE, it was a strikingly original, 54-minute portrait of Pulitzer Prize-winning and Grammy-winning composer George Crumb. To celebrate the film’s 40th anniversary (it was first broadcast over PBS on June 6, 1978), MVD Visual is making available a newly remastered version on DVD, transferred to HD from the original 16mm film and lovingly restored. Now that you’re curious, go click this link to see a tiny bit of the film and if you like what you see, go order away at your leisure. Or faster than that if you prefer. 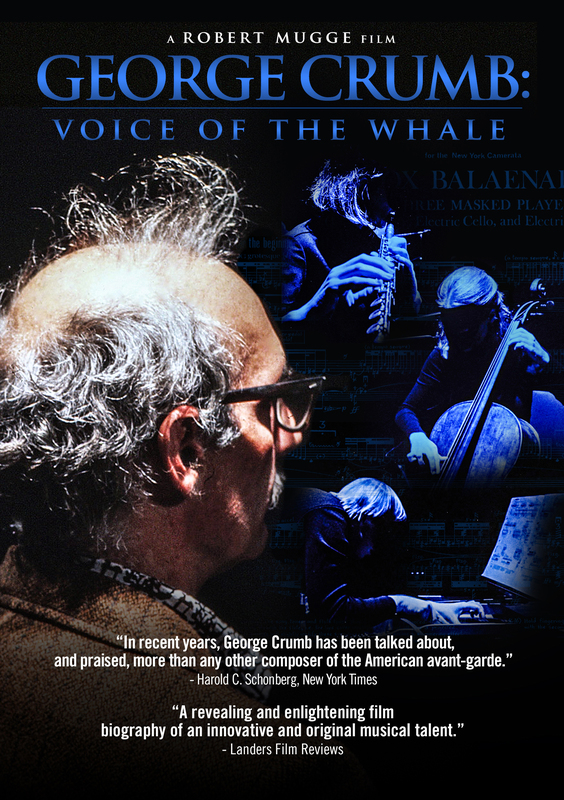 This entry was posted in 2016, Commentary, DAF, Updates and tagged 1976, BUY THIS FILM!, Documentary, DVD, GEORGE CRUMB: VOICE OF THE WHALE, Gifts, Holiday Gift Guide 2016, Music, MVD Entertainment Group, MVD Visual, PBS, Robert Mugge, TV, Vimeo by geelw. Bookmark the permalink.